This fair gives IU students from a variety of liberal arts majors the opportunity to connect with organizations recruiting entry-level positions and/or internships. All majors are welcome to attend. Senior Salute is the largest graduation party on the IU Bloomington campus and introduces graduating students to multiple ways to stay connected to IU long after graduation. 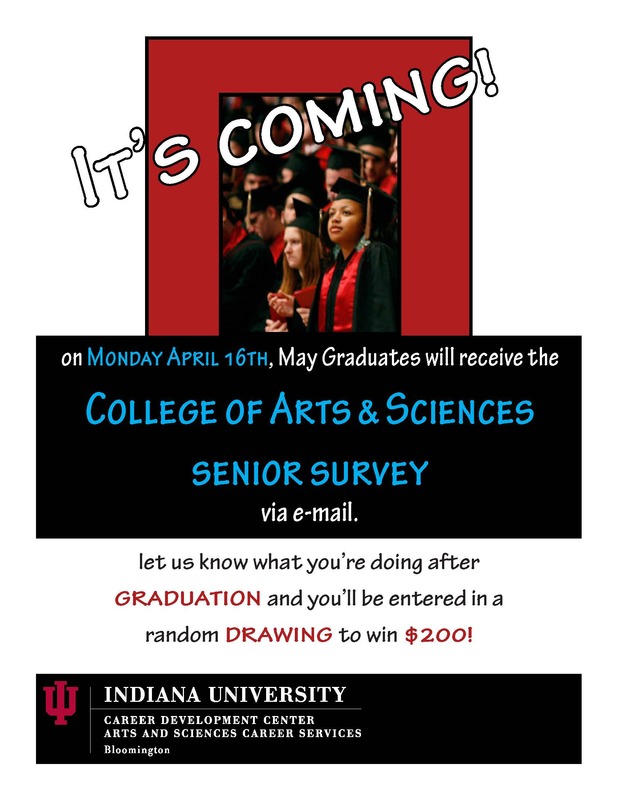 IU schools and academic departments, alumni groups and affiliate groups will have the opportunity to connect with IU’s newest graduating class at this event and tell them “congratulations!” Pint glasses will be given to the first 1000 people that register. FREE bagel with schmear to Seniors who sign up for the IUAA FREE first-year membership. *Super SwagAccess to Alumni Directory, Career Counseling, Discounts on IU Merchandise, super swag. Spring GradFair is February 22 and 23 from 10A to 6P in State Rooms East and West of the Indiana Memorial Union (and while you’re there, you can have a graduate photo taken in cap and gown and/or business attire. There’s more information at myseniorportrait.org).